Select one of these wonderful weekend cruise getaways in NY, and set sail for fun and excitement galore! Find all types of cruise getaways in New York, from simple dinner cruises to cruises that allow you to explore NY's most beautiful sights. Offering round-trip cruises that depart from NYC, Direct Line Cruises allows you to experience the same amenities you'd receive on a typical Florida cruise--only you get to enjoy such attractions as the Statue of Liberty, Times Square, and Carnegie Hall. The cruises are popular amongst both tourists and native New Yorkers. 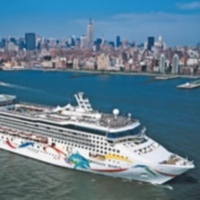 Direct Line offers trips on both Norwegian Cruise Lines and Carnival Cruises. Both cruise ships include a wide variety of cool and unique restaurants, hot tubs on deck, great live entertainment, casinos, full service salons, spas, fitness centers, and play areas for children. Cherish VIP treatment at an affordable price! Want to have a paradise-like escapade? Want to have a relaxing and stress-free gala? 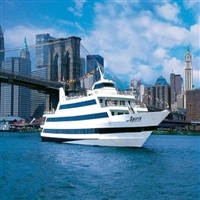 How about trying a cruise getaway in NY? In these type of trips you will get to experience a completely different vibe that you surely will never forget. The Cruise ships serve mouthwatering a la carte and buffet meals, entertaining live shows and world-rocking DJ's and beats that jive your mood. Not only that, but most importantly the beautiful and fantastic scenery that will surely leave you breathless! The Spirit fleet consists of 10 vessels, operating in 9 harbor locations nationwide. Also, tagging friends along on these cruise ships could really make your celebrations and parties livelier and more memorable. So what are you waiting for? Go pack your things and get ready to cruise around New York City like you never did before! You'll never see the real beauty of a city unless you're in the water! Try one of these cruise getaways in New York and you’ll surely never regret this one-of-a-kind experience!